In order to test your blood sugar levels at home, you need to prick your finger to obtain a drop of blood. While some people say it hurts but they've gotten used to it, others say they find it almost painless. The tip of your finger is much more sensitive than other parts of your finger. Plus, fingertips tend to have more nerve endings, according to Nadine Uplinger, director of the Gutman Diabetes Institute at Albert Einstein Health Network in Philadelphia in the United States. For this reason, you should prick the side of your finger instead. Get ready to sigh with sweet relief! When this research first crossed my desk I couldn’t believe it! The latest blood sugar science shows that your body’s own safety mechanism is why your current blood sugar solution may be selling you short. In fact, this research confirms that targeting only your body’s natural insulin and your pancreas to conquer blood sugar is like trying to douse a forest fire with a glass of water. But this research has also led to some really exciting news for you—a breakthrough in blood sugar science that no one saw coming. You’ll be stunned by how easily and effectively you can transform your blood sugar efforts—you’ll feel a difference in just weeks. So don’t wait. Learn more now. It can be tempting to squeeze blood after pricking your fingertip and there still isn’t enough blood to do the test, but refrain from doing this. Instead, hang your hand below your waist for about five seconds and, if necessary, squeeze your fingertip very gently beginning at the base moving outwards. There are some advanced blood glucose monitors on the market that require much less blood than others. If you routinely struggle to obtain enough blood to test your blood sugar levels, you should consider in an advanced model. Some of these newer models even let you obtain blood from places other than your fingers, such as your arm. 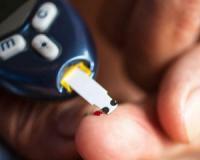 There you have it – three ways to make testing your blood sugar levels less painful.